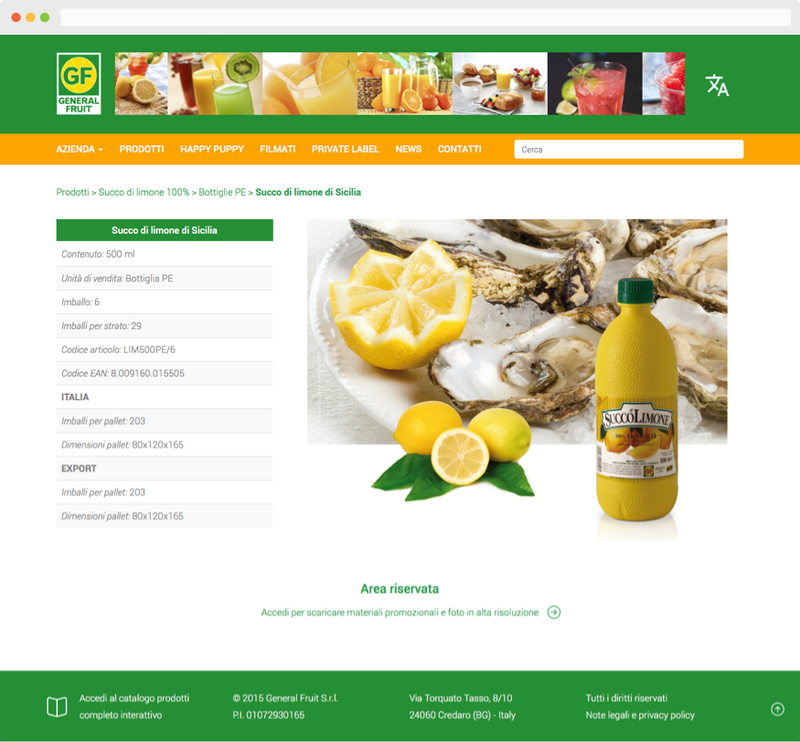 For General Fruit, the world’s leading manufacturer of syrups and concentrates based on fruit, lemon juice and toppings, we cared the renewal of the international online presence with the creation of a new website. 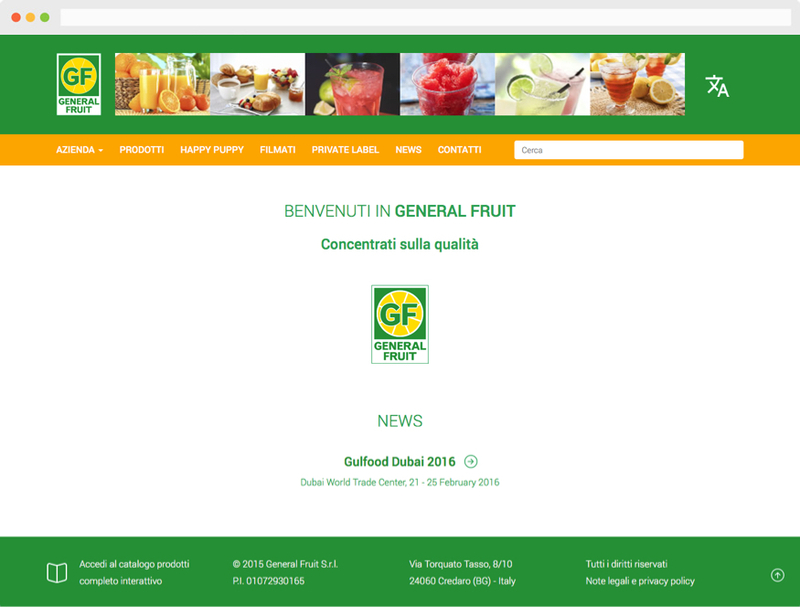 The new General Fruit website is designed through the mobile first mode, an approach based on the user’s mobile experience, making possible the visibility of all content on any type of screen: smartphones, tablets and desktop computers. Content and products management is entrusted to our CMS Adminio, extended to allow support to different languages: Italian, French, Spanish, Chinese, Russian and Arabic. Graphic design and communication has been developed with the collaboration of Ginasi Design studio.